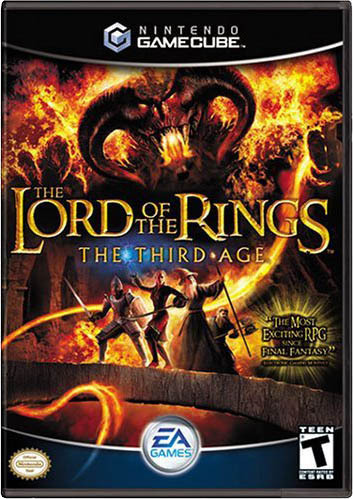 The Lord of the Rings: The Third Age is a 2004 role-playing game by EA Games for all three of the late sixth-generation game consoles. The player controls a core group of characters that are used during the adventure, leveling up according to experience gained from battles and quests. The story was not regarded as one of the game's finer points by many video game reviewers. 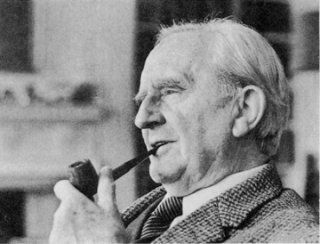 However, the fact that the story was not more expansive or creative was due largely to the fact that the publisher and developer, EA Games, owned the rights to the The Lord of the Rings movie trilogy and not the book of the same name - thus the only devices available to the creators were what could be found in the movies, or something in neither book nor movie. Thus everything had to, in some way, be tied to the movies in order to prevent a lawsuit from the owners of the rights to the book. Each of the game's main characters was based on a minor character or extra from the films. The game's combat system was, by and large, very similar to Final Fantasy X's Conditional Turn-Based Battle System (CTB), where the players have turns in which they can attack. It also featured a 'level-up' system much akin to Final Fantasy X-2. Once again, some reviewers thought this to be derivative and unoriginal, while others welcomed a combat system like that in Square Enix's games. Either way, the game experienced good success during the holiday season of 2004.